Our next FREE 10 week training camps are listed below. You can come and meet the trainers, ask questions and sign up. This is for complete beginners with no experience. If you’re an experienced boxer looking for a bout, give us a call we cater for boxers of all levels. Tameside Elite Boxing Academy. Sk15 1SY. 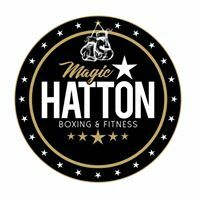 MagicHatton Boxing & Fitness, 4th floor Pear Mill, Bredbury, Stockport. SK6 2BP.